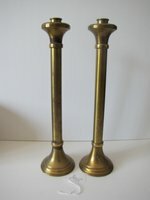 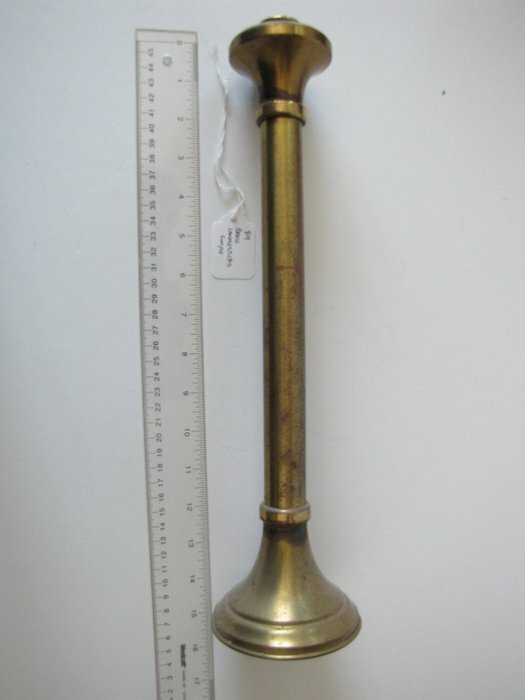 Description: Pair of matching brass candlesticks. 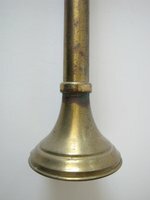 15 3/4" tall. Skinny.